Create Skilled, Job Ready Workforce, Kindle National Spirit, Sense of Accountability, Develop Manpower with Humane and Societal Concerns. Curriculum with Social Relevance and Connect People Working towards Nation Building. The School of Engineering at Central University of Karnataka was started in 2013. The motto of the School is to create the next generation engineers, capable of serving the society by providing high quality engineering solutions to address the address the problems of 21st century. The academic programs of the School are focused on knowledge assimilation, dissemination and generation. The School is creating high quality infrastructure in terms of well qualified faculty, well equipped Laboratories, Computational facilities and high quality Learning Materials in various domains of engineering. In addition to such infrastructure, the School aims to create an ambience for learning and innovation for the students as well as the faculty. This infrastructure would be utilized to create exceptional human resources for the industries and public organizations, thereby help in building a “Knowledge Society”. Currently the School has strength of 188 students & 14 faculty members. The school offers following Engineering programs. CV PDF Format Read More..
Organised a guest lecture on “Biology” by Dr. Narendra Jawali, BARC on 20th Aug 2014. Organized one day seminar on “Biology for Engineers” by Dr. P. Anil Kumar, University of Hyderabad on 25th Aug 2014. Organized Lecture on “Distinguishing Science, Engineering and Technology: The Joy of Research”on the eve of “Engineers Day Celebration” on 15th Sep 2014 by Dr. Jagadeesh, Indian Institute of Science, Bangalore. Celebrated National Science Day held on 28th February 2015 and conducted various competitions like Essay, Speech, Quiz, and Photo exhibition. Organised lecture on “Sustainable Energy Technologies” by Shri Y. B. Ramakrishna. Organised lecture on “Decoding the Life” by Dr. Gopalan Gnanaguru, Harvard MedicalSchool, Boston, US on 12th Jan 2015. Organised guest lectures on “Mathematical Modeling & Simulation, Integral Transforms, Probability and Statistics” by Dr. Odelu Ojjela, Defence Institute of Advanced Technology, Pune on 29th and 30th Jan 2015. Layak Ali; “Multilevel thresholding in image segmentation using Swarm algorithms” in CSI-2014. Annual Convention and. International Conference on Emerging ICT for Bridging Future, Springer AISC Series. Ms. Priti; A Paper published in International Journal of Mechanical and Production Engineering Research and Development (IJMPERD) ISSN (P): 2249-6890; ISSN(E): 2249-8001 Vol . 4, Issue 2, Apr 2014, 69-74 © TJPRC Pvt. Ltd. “Assessment on mechanical properties of ductile cast iron by formulating empirical equations”. Ms. Priti; A paper “AN APPROACH TO OPTIMIZE MIG WELDING PARAMETERS BY USING DESIGN OF EXPERIMENTS” has been accepted in IOSR journal, Journal for Mechanical and Civil Engineering on 4th November 2014. 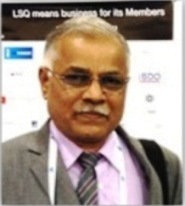 Mr. Kiran Kumar Namala; “Low velocity impact on E-glass/epoxy composite “International Journal of Vehicle Safety 2014. “Experimental studies on Low velocity impact on E-glass/epoxy composite” International Journal of Computational and Engineering Mechanics” 2014. Attended workshop on Matlab & Simulation for Engineering Education, organized by Math Works India, on 18th February 2014. Participation in “Faculty Development Programme”, Organized by VGST, VTU, held at Basavakalyan Engineering College, Basavakalyan, from 9th to 12th May 2014. Participated in Refresher’s Course in “Experimental Physics” organized by Indian academy of science and Central University of Karnataka from 06th January 2015 to 22nd January 2015. Attended workshop on Digital Manufacturing And Cloud Computing, Organised by Karnataka German Technical Training Institute, Gulbarga, on 22nd April 2014. Shortlisted in Top 10 Innovative Projects Award 2014 by Indian National Academy of Engineering (INAE), Govt of India. Invited for Festival of Innovation at Rashtrapati Bhavan on 07th March 2015 by National Innovation Foundation, Govt of India. Vikrant Hanche, Apoorva Joshi, Suchitra S Shastri have Participated in a course on “Remote Sensing, Geographical Information System & Global Navigation Satellite System”, organised by Indian Institute of Remote Sensing and sponsored by National Natural Resources Management System (NNRMS) held from 04th to 14th November 2014. Sharan shastri has participated and won 4th prize in the event of “BIO Quiz competition”, organized by Vision group of Biotechnology in Bangalore 2015, held from 9th to 11 Feb 2015. Anushree Math has participated in Interuniversity Badminton competition in “South Zone (Women)” Tournament held at Anna University, Chennai during 2014. Aluri Sriharsha has participated and completed a course in “Programming in C & OOP with C++” in “DATAPRO”, at Kurmannapalem Visakhapatnam from 05/07/14 to 30/07/14. Krishnakanth prabhu and Shivanand have participated in “Full Throttle Workshop”, Organised by Horizon MBS Group of Initiative held from 14th and 15th March 2015. Vishwaradhya Meti, Sharad N Rasmi, M V Sivani, Mayuri V Kulkarni and Akarsh D had participated and presented a paper on waste management in 7th International Congress of Environment Research (ICER -14), organized by R V College of Engineering, Bangalore with Jorunal of Environment Research and Development, Bhopal from 26th to 28th Dec 2014. Central University of Karnataka. © 2015 - 2016 All Rights Reserved.